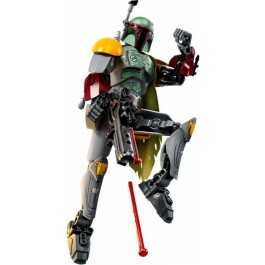 Bring in the bounty with this buildable and highly posable LEGO® Star Wars Boba Fett figure. 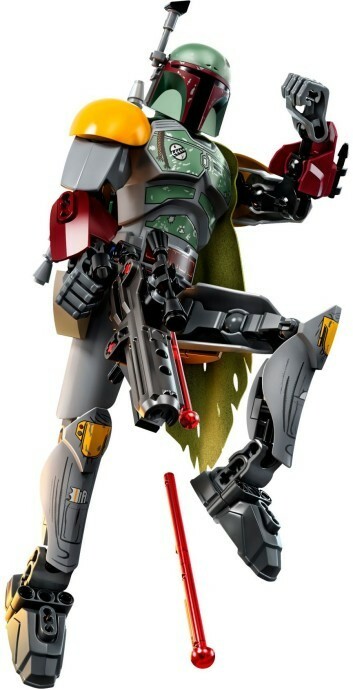 The battle-scarred armor decoration with textile cape and helmet with lowering antenna/aiming device add a real feel of authenticity to this popular character from the Star Wars universe. 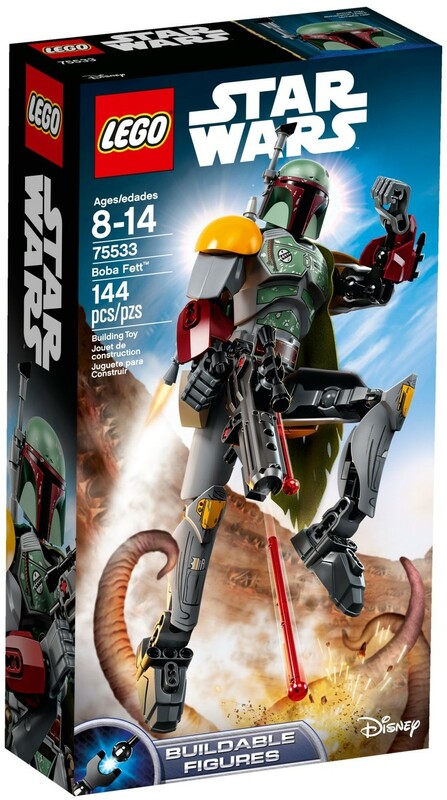 Boba Fett is also armed with a blaster rifle with spring-loaded shooter and jet pack with integrated flick missile—the perfect accessories for tracking down bounties! 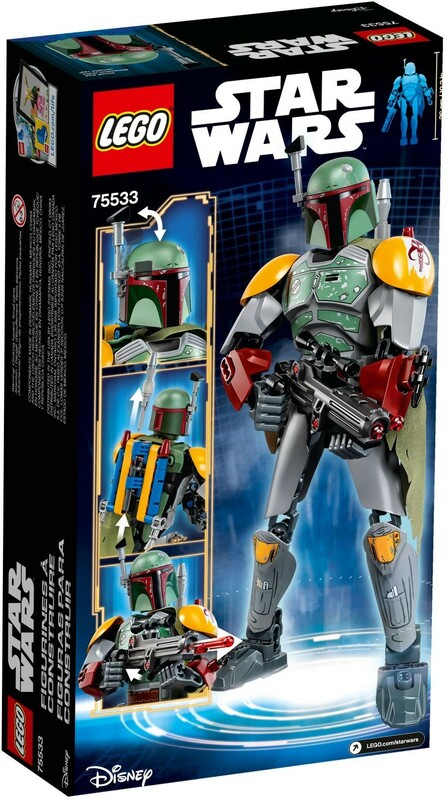 Buildable and highly posable Boba Fett figure features a cool color scheme with battle-scarred armor decoration, blaster rifle with spring-loaded shooter, jet pack with flick missile and a movable helmet antenna/aiming device. Features new-for-January-2018 Star Wars: Return of the Jedi helmet, textile cape and color scheme. Play out exciting shootouts with the powerful spring-loaded shooter and flick missile. Play out epic adventures from the Star Wars: Return of the Jedi saga. 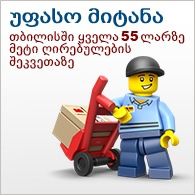 This buildable figure is suitable for ages 7-14. Stands over 9” (25cm) tall with antenna extended.